The 20th Annual Teddy Bears' Reunion is today. 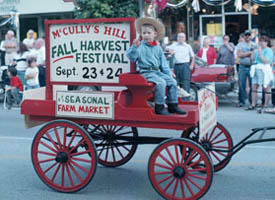 Following the parade from the High School to the Community Centre, there will be teddy bear contests, stories, games and live musical entertainment. Shown is a former prize winner by Nancy Bax. 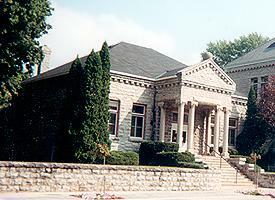 The library's opening to the public happened 100 years ago on August 17, 1905. 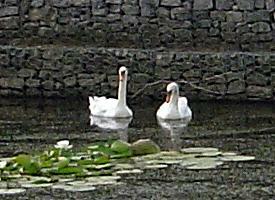 The town's two swans have a pen at the west end of Kinpark. Federal regulations require that they have the feathers on one wing clipped so they cannot fly. They are taken from the river for the winter and kept at a farm in New Hamburg. UPDATE: November 4 swankeeper Ron Hunter rounded the swans, Cindy and Samantha, to spend this winter in Stratford. For the St Marys Lincolns 50th Anniversary, all day today a Hockey Hall of Fame display, including the Stanley Cup, is set up on the St. Marys arena floor. The Rural Learning Association during this year's annual general meeting endorsed unanimously the development of a rural education centre at McCully's Hill Farm.